We will go on a journey to the magical land of the rising sun, immerse into the world of Living Tea, listen to the music of the murmurous running stream and to the song of the spring wind! The sounds of Japanese musical instruments and the medicine of tea leaves will share beauty and grace with us through their mysterious dance. We will start with the mindful tea ceremony - which means co-being and co-participating in mystery, surrendered to the laws of ancient harmonies. Dissolving into the movements of the hands of the one brewing Tea, into the intoxicating aroma and taste of tea, we will come back to the present moment, regain the inner peace and open our hearts. 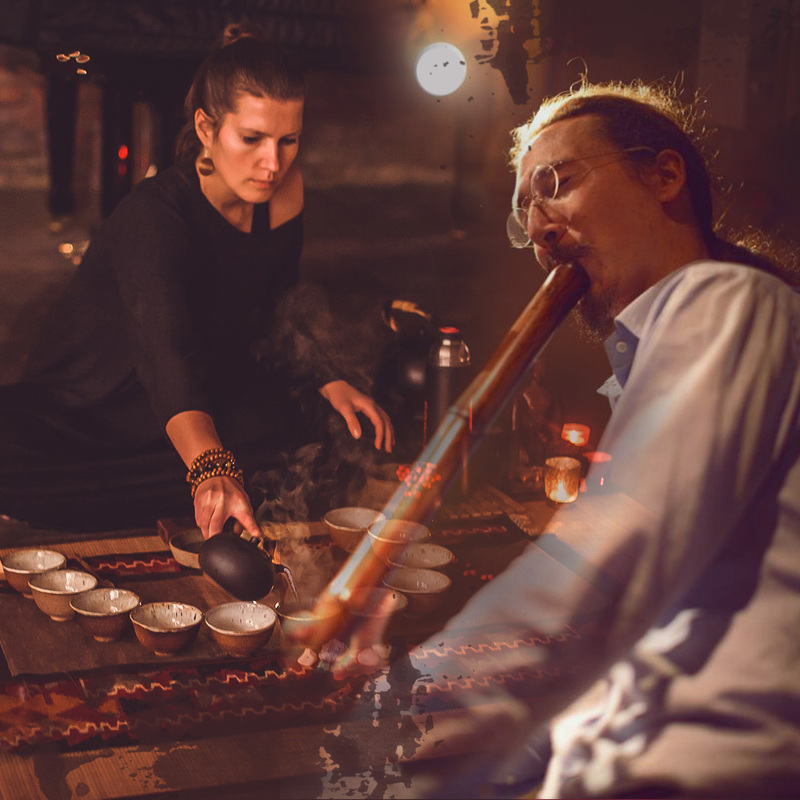 Justin will play the shakuhachi flute throughout the Tea Ceremony and after that will talk a little bit about the instruments, about his journey to this music, and also about the connection of music and his spiritual practice. Through connecting to ourselves, through approaching consciously every single action, every sensation, every feeling and thought, through the conscious focus on our pleasure from everything happening here and now, we are receiving the key to joy and happiness. After the Tea Ceremony there will be an opportunity to share your insights and some healthy snacks will be provided.